Remember my first ever event? Remember when finally this tham jiak came out from her hiding place? 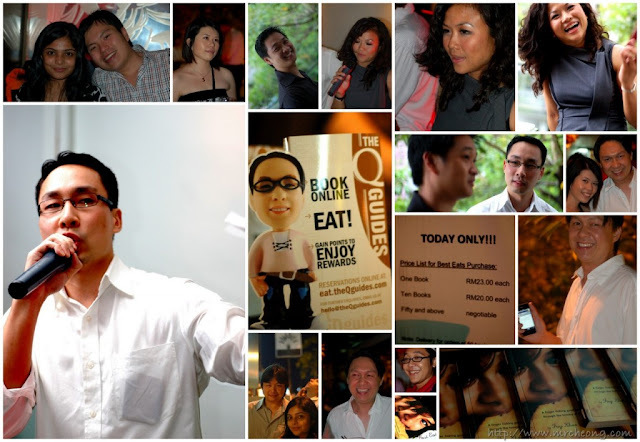 Yes, it was TheQguides first event, where they get to know us the Malaysian food bloggers. Since then it was loads of fun filled activities and truly chowtut events thanks to the lovely trio of TheQguides – Frat, Jek and Lisa! Since then I have to say it was truly a wonderful ride for me and I would also say that I have in fact grown not only in tham jiak wise but in terms of friends as well. There are truly many good people out there, in this case Malaysian food bloggers or lovers that not only share my passion in food but also my penchant for laughter, having good times and just living the life. 7 months since the first getting to know each other session, quite a number of food reviews invited by them and several bookings on TheQguides.com for me since then, TheQGuides finally had its official launch! 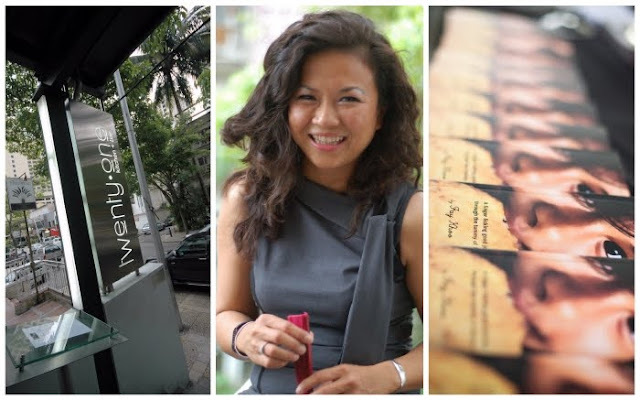 It was held at the TwentyOne Kitchen and Bars and in collaboration with the Best Eats KL book launch as well. That night was a blast, grace by many people from the celebrities to the media and to food bloggers of course, which I hung out with. We were served free flow cocktails and wine plus canapes which I gladly oblige, and yes we the food bloggers did sneak out for a meal down the road, we could not resist, and then rejoin the party for all the fun again! In short, go now to TheQguides.com, sign up if you haven’t and find out all it has to offer and next go out to the nearest bookstore and grab a copy of the Best Eats KL, it has all the scoops of what Malaysia culinary has to offer from your neigbourhood coffeeshop to the extreme fine dining! By the way, at the launch, there was a competition which was a collaboration of both Frat Mustard and Aly who jointly wants to promote the Malaysian F&amp;B scene and guess what, I won first prize! Yes, yours truly tham jiak won first prize and she could not wait to eat her way through it! A big thanks to Frat and Aly! Photos credit to Frat Mustard (first picture) and Eric Cheong.